First, stop reading, go over to the right hand column, and listen to episode 50 of the podcast. You can even hit play and read and listen at the same time if you have that skill. James, M.H. and Ben did a tribute to the first fifty episodes of the show. It was a great tribute, but it was missing something. Me!!! The show was a bit biased to the perspectives of the three current hosts, two of which weren't so much there for the first forty episodes, so I feel I must add this complimentary companion post to supplement the episode. So. 1978, driving cross country with my parents, Laff-A-Lympics comic. You know all that stuff. You know about the notebooks. You know about the Wold Newton Group. You know I met Ivan, James and Gordon there. You know about the book club and Hannah Montana. And you know that I wrote a book. It was the Horror Crossover Encyclopedia. And that's where this story begins. My uncle Joe was helping to promote the book. He had a friend. He told that friend about my book. That friend became obsessed with my book. And he happened to be Dynamo Marz, co-host of Trick or Treat Radio. I got to be interviewed on that show, my first celebrity moment. I was so frickin' nervous. In order to be less nervous, I started listening to the show to know what I was getting into. I really love their show. And so I became a regular part of their community of fans. They do live shows on Wednesday nights and that became part of my regular schedule. And they have a live chat during their shows, and I became friends with their fandom community. Thanks to Trick or Treat Radio's Monster Zero (and a little bit to David Chappelle), I even got a special introduction every time I showed up. Not long after that, their show was expanding into a network of podcasts, the Grand Guignol Network. And so there I was, listening to their show on a Wednesday night, while doing some writing on another project, when I hear Dynamo Marz say that it would be great if I had a show on the network, and Johnny Wolfenstein, the network producer agreeing. I immediately messaged Johnny. "Were you serious?" And that's how the show began. Immediately after it was confirmed that they weren't making a joke, I reached out to the "TVCU Crew". 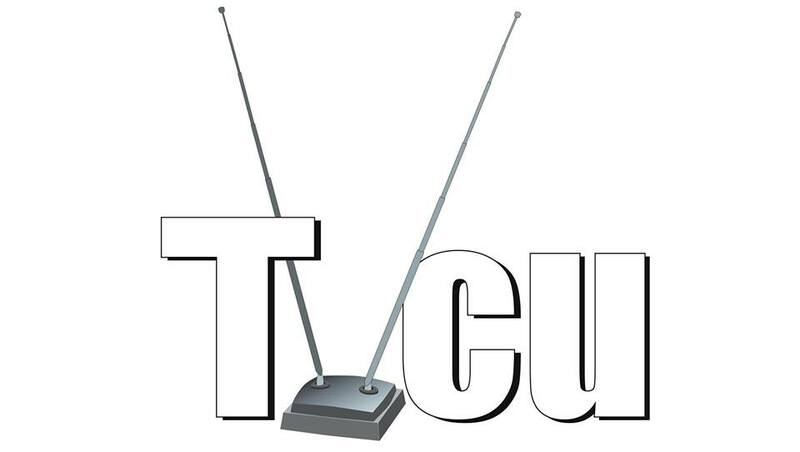 Up to this point, the TVCU Crew were the contributors to the website. That name now applies to both website contributors and podcast hosts. Others who join in on our Facebook discussions are part of the extended TVCU Crew. I knew I wanted this show to be an extension of the website and books. What I wanted the show to be was a lot of discussions like we have in the Facebook group, with occasional interviews with guests who have somehow contributed to the larger shared universe, writers and filmmakers, on the rare occasions when someone might agree to be on our new show. And I knew from the beginning I needed to have James and Ivan with me. They have been my Spock and McCoy for the entire life of the website, and they both know the TVCU concept well, while being fans of different aspects. They both said yes right away, and so it was now time to start planning out the shows. My initial plan was to send out many guest requests, expecting them to be ignored. "Aim high. Expect low." was my motto. So the show was meant to be mostly discussions because I expected that nobody would want to be on our show. After all, we are nobodies. If you follow the show, you'll know that a whole lot more guests said yes than I would have ever expected, and that changed the direction of the show. Our very first episode, and best-selling author Simon R. Green said yes. Are you kidding me? Talk about pressure. Ivan couldn't make it to our first night of recording. (We record two shows every other week, which we then release on a weekly schedule, despite the illusion of a live show). I was so scared, but somehow, we pulled it off. As James mentions in episode 50, we were way over prepared with questions. But Simon was such an amazing guest. He was humble and charming and insightful, and loved to talk, and we loved to listen. I still argue this was James and my best interview. We just went back and forth with the questions in such a natural manner, changing up our questions based on the answers Simon gave us. I've loved all our interviews, but that one has always been my favorite. Erik was actually the first guest to say yes. I sent him a message on Thanksgiving 2015, and he responded within an hour. I was sad that Ivan, our own Ghostbuster, had to miss the first Ghostbuster themed episode, but fortunately we were able to get Erik back on, as he promised, so that Ivan could ask his questions. This was also the first episode where the interview didn't fill the full time, and we ended with an improvised crossover discussion. I really liked doing those, but over time, most interviews went the full length of the show, which is why it was great when we occasionally didn't have a guest, because it gave us an hour to do a crossover discussion. And then the puns. I joke that after our first two impressive guests, I was just going to have my friends on the show from that point on, now that we had people hooked. Chris indeed was a friend, as well as a published author who writes crossovers. I didn't know at the time that Chris would become popular, so much so that I would invite him to come on as a regular co-host not long after. This was also Ivan's first episode, even though he was invited as a founding co-host. James doesn't like this one. I do. It was my idea that each co-host should get their spotlight, since we are all published authors. (Actually, I wasn't going to give myself a spotlight, because I felt every show was my spotlight, but Ivan eventually talked me into it.) We got to learn James' secret origin here, and this was Chris' first guest co-hosting duties, since James was guest. Our first playwright. This was a short one. He is a great writer, but he only did one crossover. It was a Carnacki crossover. I didn't realize until James pointed it out to me a few months later, but we were developing a Carnacki theme based on my scheduling. Green wrote a series that was a legacy to Carnacki. James wrote an essay connecting Carnacki to Zarnack, which we discussed. And now M.J. Starling. And several more Carnacki authors would be scheduled before this was brought to my attention. Almost half our guests had some Carnacki connection. What can I say? This was the fist time we ran out of time and still needed to ask more questions. This is the first guest that we booked his second appearance immediately after wrapping up the first interview. And he's been on three times as guest and a couple times as a guest co-host. I love Micah. We share several unique fandoms. He's a great writer and loves crossovers, and he's just pleasant to chat with. This is the first episode also where I recognize another scheduling pattern that wasn't intentional. Most of our guests have cool accents. This was our first really bad interview. William Meikle is a great author, another Carnacki guy, and he was a great guest. We were terrible. We had technical issues that made us start late. A snowstorm kept Ivan away. And we kept mispronouncing the guest's name. It's Me-Kill, by the way. This was my best interview, and I adore this guest. James was there, but I did all the talking with Janet. She's a Superman expert, a geek girl, writes comics, and she gets how to do proper crossovers between television shows. This was my favorite interview primarily conducted just by me. I hope that someday if I ever have another show, that I can have her back on with her husband and partner, Ron Sutton. This was a very cool experiment, and I'm not going to tell you why. You'll either get it or you won't. Chris came back as co-host for this and the next episode, in what was basically his audition. Chris returned as co-host, and completely coincidentally, I had no idea that Chris was such a huge fan of this guest before I set this up. Chris and Matt are now friends who have hung out in person, and I love that I helped with making that happen. This episode led to Chris' getting asked to become a regular weekly co-host, and we've been fortunate to have Matt return on the show again. Up to this point, our first episode with Green was the top rated show. Nicole Petit, a very new author working with 18thWall, and a special friend of James, blew that away and has remained the top rated show at least until I stepped down from the show. (I don't see the stats anymore.) I should point out that up to this point, I had been choosing all the guests for the show, and the guest were all authors who had written something in the past decade that was referenced in my Horror Crossover Encyclopedia. We got this show on the network based on the merits of the HCE, and so I felt an obligation to tie in the book to the show until we got established. This was the first guest chosen by James. And she was so delightful and fun. And again with the accents She was also part of a pattern in which we seemed to have had on our show or plugged almost every author who would later that year win a New Pulp Ark Award. Turns out we can pick the winners. Nicole would come back as guest and guest co-host. One of my least favorites, but it was part of a deal I had to make with Ivan to get him to do a previous episode with Kevin T. Heim. Chris spent a lot of time asking me questions that had nothing to do with anything I've ever worked on, and wouldn't stop pressing me for answers to those questions for many minutes, and that was awkward. Chris was still honing his interview skills at that time and over time he really became quite skilled and so because he has conducted so many great interviews since, I feel safe to mention this early bad interview without too much scorn. This was also the only episode where Ivan introduced the episode. Remember how I said I didn't epect any guests to say yes? Well, at this point, we were booking guests months ahead of time due to our popularity, and so it took us seven weeks to get Micah back on. This was our first and only time we did a movie review. Ivan gave us a review of Dark Water, as part of a network wide cross promotional event. Our first full hour of discussion. We started talking about Universal Horror, ended up talking about super-hero movies (as we tend to do), and somehow moved that back into Universal Horror. I really loved this episode, and it was one of our higher rated shows, letting me know that we should do it more often. This is what we started the show to do after all. This also happens to be the first episode where a guest cancelled on us at the last minute, and pretty much every discussion episode we did was a last minute replacement of a guest who cancelled. He sounds like Ray Romano, but he draws a series of crossover comics based in horror. And he gave me a free comic, which I passed on to Chris, because Chris by this point had truly mastered his interviewing skills and saved a show with amazingly insightful questions on the process of writing and art on a night when my interviewing skills were a flop. Another of James' choices. Though his crossover work was small, this was such a great interview. Murray Ewing has done it all, and his writing is superb. Ivan chose his first guest, and then couldn't make it. Damn you, real world job!!! Peter is a wonderful guest, and has become, like Micah, a wonderful friend of the show. He has come on again, and from what I've heard, may be coming on more regularly to talk classic detectives in recurring discussion episodes. James said this one didn't stand out for him, but as he pointed out, it remains a fan favorite. Tim Lebbon wrote a book that became a movie with Nicolas Cage, and has written in the worlds of Alien/Predator, Star Wars, X-Files, and more. This was M.H. 's first guest co-hosting duties. Probably our most people packed episode with five co-hosts and two guests. Besides a book (now two) and website, this pair also had a great podcast that had been not recorded for sometime, but shortly after this episode, they returned to doing their podcast Coincidence? That's it for part I. I'm splitting this into two parts because the links slow down the page. Thanks to Joe Wronski, Dynamo Marz, Johnny Wolfenstein, Ivan Schablotski, James Bojaciuk, Chris Nigro, and all those who listen.